Congratulations to Plano West Varsity player Jonah Fleisher on being selected to the 2018 Team Texas roster. 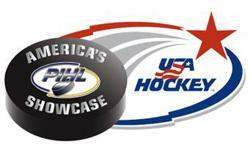 Jonah and Team Texas will compete in the USA Hockey America's High School Showcase April 19th-23rd in St. Louis, MO. The complete 2018 Team Texas roster can be viewed here. ©2019 Plano West Hockey / SportsEngine. All Rights Reserved.